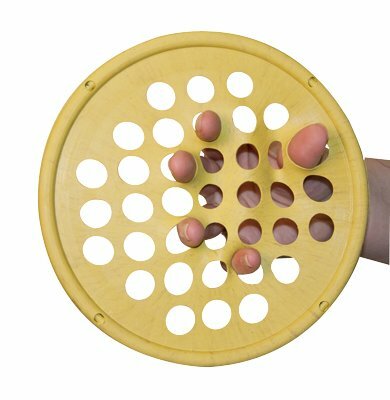 CanDo hand therapy exercise web is used in hand therapy for flexion, extension, opposition, and supination exercises. Resistance may be modified by adjusting the hand position, depth of finger insertion, or by moving to a different resistance (color) web. The CanDo exercise web small 7 inch diameter size no-latex formulations. Country of Origin: Sri Lanka. Color: Yellow.